Fisher-Price has always been known for designing and producing children’s toys that help enhance their role-playing activities. For most of us, role-playing may simply mean acting the different parts of a story. But for kids, a role playing activity is an expression of their views, their thoughts, and even their feelings about certain events or occurrences in their world. It gives us an idea of how they view ordinary daily activities. Take for example the Bubble Mower. This lawn mower-inspired push toy does more than just allow kids to play the role of a gardener or a lawn mower operator. 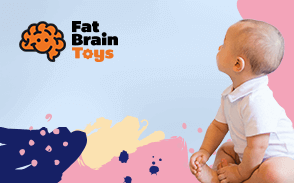 In this article, we shall explore the different benefits that the toy provides based on its inherent features. The Fisher-Price Bubble Mower is designed to blow lots of bubbles along its path. For us it may seem so ordinary. However, when children see tens of bubbles floating in the air before popping, it gives them a sense of high. The visual spectacle of bubbles floating with their rainbow-specked surfaces before bursting into nothingness actually arouses the curiosity of children. They begin to wonder how a bubble could float in the air, take on a rainbow-like hue, and then suddenly burst. This actually encourages them to start thinking about how the real lawn mower works. They can then begin asking questions which can further fuel their curiosity and further enhance their cognitive abilities especially their divergent thinking and problem-solving skills. Role playing becomes more fun and engaging with realistic sounds and realistic action coming from the built-in make-believe motor and cutting blades of the Bubble Mower, respectively. As children push the Bubble Mower across the lawn, the neighborhood street, or even at the park, spewing lots of colorful bubbles along the way, they are acting out their understanding of what a lawn mower is. With the help of realistic sounds and action, children will be able to effectively play the role of a gardener, a lawn management specialist, or even an ordinary individual who happens to love trimming the grass. Role-playing enhances the various cognitive processes occurring in the brain. As kids play their different roles, the neural connections in the brain are also improved, allowing for the more efficient processing of various pieces of sensory information for integration. One of the major concerns among today’s youth is the growing number of obese kids and teens brought in part by a very sedentary lifestyle and complicated by faulty eating habits and too much stress. Yes. Even young kids can get stressed. As such, getting them to perform lawn mowing chores, albeit in a make-believe fashion, can help them feel more relaxed as they will be spending the excess psychical energy from emotional and psychological stress on the physical activity. While it is true that the Fisher-Price Bubble Mower has a lightweight design, the mere act of pushing and pulling the toy lawn mower over grassy terrain can exert pressure on the muscles of both the legs and the arms. This helps tone these muscles and promote the more efficient distribution of oxygen across the tissues of the body. This helps promote general health and a great deal of physical development. As children push the Fisher-Price Bubble Mower, they will have to rely on the visual cues that are processed by the brain and transmitted as electrical signals to the muscles of the arms and legs. That’s why we all know when to push harder or even when to steer the lawn mower to avoid an obstacle. The same thing can be said of children playing with the bubble lawn mower. They will have to coordinate their motor movements based on what their senses, especially their eyes, tell them. For instance, if they see a large boulder along the path of their bubble mower, they can actively avoid this so as not to “damage” their equipment. However, this does not only require the successful coordination between what the eyes can see and how the muscles react. It also talks about the way in which the brain perceives the space upon which the bubble lawn mower is located. This is called spatial intelligence and is a crucial element in visual motor coordination as it gives the brain an idea of the relationship between an object and the space where that object is located. When kids are able to accomplish something, they will feel proud and happy of what they have just achieved. Cutting or trimming the grass can be a very “tough” chore even for the seasoned kiddie bubble lawn mower operator. As such, being able to accomplish this task can be a splendid source of pride which in turn can boost self-confidence. As children become more and more confident about their own abilities, they begin to form healthier and more positive ideas about themselves. They feel happier about their abilities. They feel proud of what they can achieve. They feel more confident about everything that makes them who they are. This helps them do more and accomplish more. Technically, a high self-esteem can serve as fuel for kids to persevere and to reach their goals. While not everyone has a garden or even a lawn mower, kids who play with the bubble lawn mower are nevertheless, given the opportunity to try their hands on one of the most essential skills of property management – trimming the yard. The make-believe nature of the activity makes it safe for kids to make mistakes while they slowly learn and gain mastery of the essentials. When they are old enough, they will already have the much-needed competencies to operate a real lawn mower. The Fisher-Price Bubble Mower is a great tool for kids to try their hands on one of the most common household chores today. Not only does it prepare them for this task, it also helps develop them into healthier and more developmentally mature children.